﻿ No one’s favourite band is Oceans Ate Alaska. And no, that’s not because they’re relatively new, or that they’ve not put enough out to give a proper verdict on yet; rather, it’s just because they’re serviceable and little else. Lost Isles gave them some legs back in 2015, but on the whole, there’s little there that grabs the attention as a tech-metal band and even less as a metalcore band. At least from a glimpse at Hikari that looks to be changing, taking influence from traditional Japanese culture and music and placing it against their metalcore backdrop. If that’s the sort of thing you’re after from here, maybe it’s best to stick to a glimpse, given how Oceans Ate Alaska squander any potential such a blend could have with yet another formless, thudding tech-metal album. Sure, there are moments of feudal-soundtracking string plucks that peek into view on tracks like Benzaiten and Covert, but there’s nothing fully-formed enough to leave a considerable impression. Then again, that’s true of most of this album, as besides the machine gun breakdowns that form the backbone of the majority of tracks here (who would’ve expected that on a metalcore album? ), Hikari is buoyed by half-ideas that seldom contribute to a satisfying whole. It’s not even as though there’s some way to see a connection if you squint at the finished article, because it’s all just too lumpen and mismatched to coalesce into anything worthwhile. For the basic interludes that Veridical and Ukiyo are, they at least have the smoothness of a fully formed song, whether it’s the sole convincing mesh of traditional Japanese music and djent riffing on the former, or down to Issues drummer Josh Manuel lending some increasingly labyrinthine sticksmanship to the latter. Beyond that, Oceans Ate Alaska will try to cram together texture-bereft, mechanical breakdowns, progressive guitar flourishes, fragments of melody and some truly terrible Britrock cleans to no avail. It’s not even a lack of trying either, as there’s obviously talent among Ocean Ate Alaska’s ranks. It’s especially true in the guitar work which will throw up some interesting, inflective tics on Sarin and Birth-Marked that could definitely be beneficial if fleshed out into proper motifs for some more use. Instead, Oceans Ate Alaska are a lot more comfortable with piecing in single-use gimmicks into their songs rather than building on anything actually good, but at least they know to cut the use of anything truly egregious. It doesn’t excuse the fact that they’re here in the first place though, like some cringeworthy rapping on Entrapment, or trying to imitate a crying baby on Birth-Marked which may just be the single worst sound put to record in a year when Machine Gun Kelly released a country song. But perhaps the most baffling point is the lack of references to Japanese culture beyond brief nods, not just in the instrumentation but across the board. The deepest that Oceans Ate Alaska go is for the purpose of song titles, and though ‘hikari’ as the manifestation of a person’s good side can fit to a degree, that’s reaching to a point that just scrapes a lack of believability. Then again, that could just be Oceans Ate Alaska’s cunning new way of racking up the column inches. After all, with metalcore as glutted as it is, why not just rely on eye-catching language instead of actually bettering yourself to succeed in the long term? Because, with Hikari, there’s nothing here that does that for Oceans Ate Alaska, just a pileup of sounds lacking in anything coherent or memorable to actually stick. If they stick to this, they’ll never get beyond being merely serviceable, and even that would be more praise than this rightfully deserves. 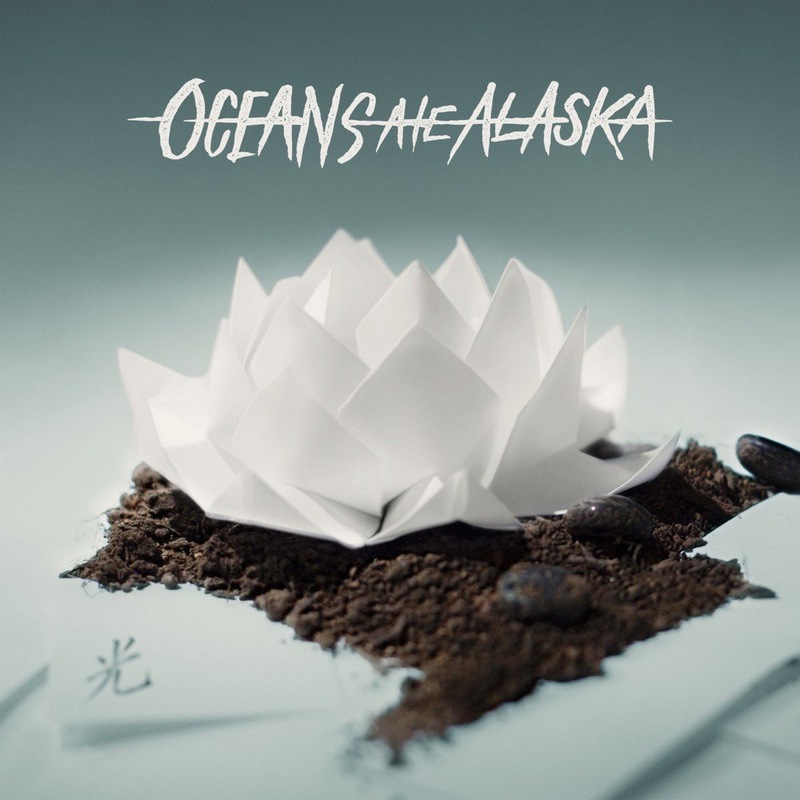 ‘Hikari’ by Oceans Ate Alaska is out now on Fearless Records.